The story behind our treasured relationship with the Kelty Patrick Dennehy Foundation. He's a shoe designer, a motorcycle enthusiast, and he has a mental health story to tell. George Sully grew up in a large family of creatives and artists. When he lost his mother, the centre of his support system was gone. But he found healing, love and joy with #TheMotoSocial, a group that builds community through bikes and camaraderie. This is the 4th in our #RideYourWay video series, a set of stunning stories that reaffirm the fact that we all have mental health. 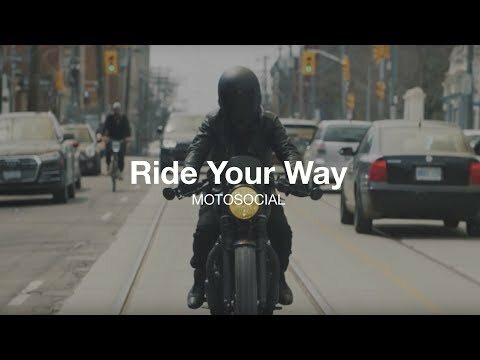 #TheMotoSocial and Jack.org are teaming up in a new collaboration called CAMP, a fundraising event for Jack.org. We'll camp! We'll feast! We'll play, live, and love. Register at jack.org/camp or email fundraise@jack.org for more info.